A good photograph is a piece of inspiration that keeps me moving ahead. It's the most satisfying experience I ever had, and that's what I love to do, to capture moments, freeze motion, to portray the soul and the story behind each photograph. The world is a beautiful place, let's slow down, stop for a moment and look at all the beauty around us, yes even the things which we see everyday can seem interesting when there's interesting incidence of light or simply when we tried and looked at it from a different angle. Each day is a new day to find something beautiful around us. I'm Harikrisshnan, a Visual artist, Hire me to tell your story. What's your story ? 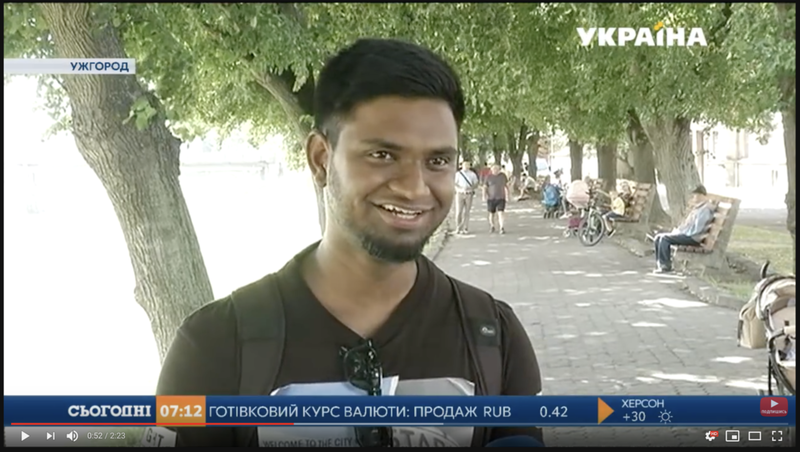 Hari Krisshnan, from India, had studied in Luhansk for a year. He transferred to Uzhhorod right away when the riots had been started. Hari plans to attain his degree here and continues along to be a photographer. He has a lot of friends here unlike in Luhansk. "The level of everyday racism in Uzhhorod is much lower than in Luhansk. Nowadays, I barely feel real hostility, and mostly it comes from elderlies,"- says Hari. Фотографія – це мистецтво, вміння побачити те, чого ми часто не помічаємо навколо себе. Харі Крішнан – бачить красу у всьому. Своє розуміння світу він передає саме через світлини. Exclusive interview on the national TV of Ukraine about my life and passion for photography and my work.